2 Early Bird Rs. 4000 Sold Out! 3 Smart Rs. 5000 Sold Out! 4 Regular Rs. 7000 Sold Out! 5 Late Rs. 10000 Sold Out! 1 Super Early Bird Rs. 2500 Sold Out! 2 Early Bird Rs. 3500 Sold Out! 4 Regular Rs. 6000 Sold Out! 5 Late Rs. 8000 Sold Out! 6 Last Minute Rs. 10000 Sold Out! Associated with Eclipse for more than 10years since 2004. Worked in Robert BOSCH India Ltd as an Eclipse Tech Lead from 2005-2007 before stepping into my current role of a Founder, CEO of "ANCIT CONSULTING". 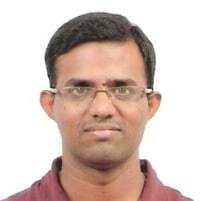 A passionate Eclipse Developer with a command over various Eclipse based Technologies and Tools. Trained and Supported over 50+ Companies and 2500+ Associates in the Indian Subcontinent. To top this up, his contribution to Eclipse has been appreciated and he has been awarded as the Top Eclipse Evangelist 2015 @ Eclipse Con 2015, San Francisco. Apart from Evangelising on Eclipse also lecture around in Universities on Entrepreneurship, Software Architecture, Model Driven Development in CS. An Eclipse Recruitment Service to put employers and applicants in contact. Having trained hundreds of professionals in French or in English, in France or in Europe, OPCoach® has become a major actor in Eclipse training. OPCoach® is Solution Member of the Eclipse Foundation and takes part in all related international events in order to offer you the best courses based on the latest tools. OPCoach is also committer on the E4 tools project and platform.ui. 1 Super Early Bird Rs. 2000 Sold Out! 2 Early Bird Rs. 2500 Sold Out! 3 Smart Rs. 3000 Sold Out! 4 Regular Rs. 4000 Sold Out! 5 Late Rs. 6000 Sold Out! 6 Last Minute Rs. 8000 Sold Out! Stephan Hermann received his Ph.D. at Technische Universität Berlin in 2002. Around that time he started developing the concepts of Object Teams, the language OT/J and its tools; he is the lead of the Eclipse Object Teams Project. He is also a committer on JDT/Core and JDT/UI where his pet project is improving the null pointer analysis. In 2010 he joined GK Software, where he promotes a model driven approach and develops in-house tools to support this approach. Benjamin Cabé, Internet of Things enthusiast and evangelist at the Eclipse Foundation, has years of experience in connecting things, big and small, together. He is the co-founder of the Eclipse IoT Working Group and speaker at many conferences around the world.